There are a few relatively close cities where you can stay. I recommend somewhere on the I-5 between Redding and Red Bluff. Alternatively, if you’re heading to Nevada then you could stay in Reno. If you have a tent you can camp inside the park in designated areas. Finally, I recommend visiting by car as the park is huge and you must drive to each point of interest. 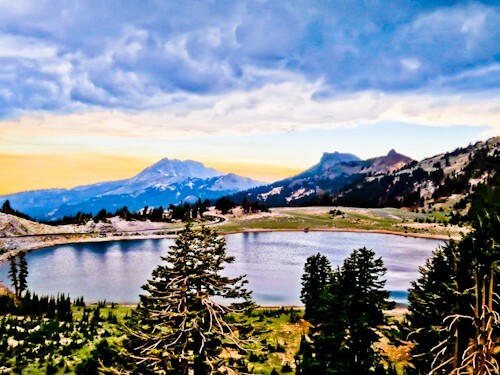 Lassen Peak is part of the Pacific rim of fire and is one of the most active volcanoes in the USA. It’s 3,187 meters in height and 1,100 meters higher than the surrounding area. Furthermore, it has one of the largest lava domes in the world. The last serious eruption of Lassen was back in 1915 and the good news is that no serious eruption is predicted in the near future. For this reason, you can safely drive around the park and photograph Lassen Peak from different vantage points. Lastly, there is a hiking trail to the crater rim. It’s quite tough and comparable to hiking the Paricutin Volcano in Mexico which is a natural wonder of the world. 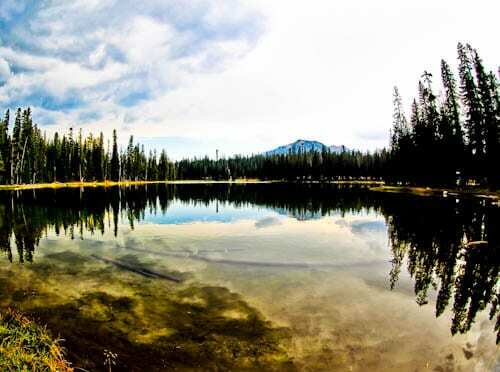 Manzanita lake is probably the most beautiful part of Lassen volcanic national park. 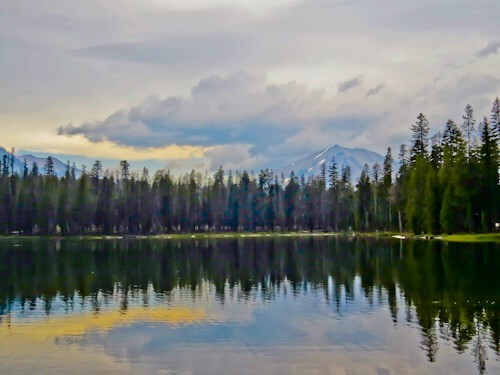 On a clear day it offers a perfect reflection photograph of Lassen Peak. On the day I visited it was a little windy and cloudy but the photo still came out pretty well. You’ll also see people fishing as you explore the lake. Trout is the catch of the day. There are several camping sites around Manzanita Lake. Imagine waking up to a stunning sunset over this lake! In addition, there are several well marked hiking trails around both the lake as well as throughout the park. Finally, pick up a free park map when you enter for exact locations of the campsites and hiking trails. Another lake worth a visit is Lake Helen which is in fact, a glacial lake. Perhaps, this lake is more photogenic than Manzanita Lake? Nonetheless, it’s another postcard perfect location to witness. On a calm day you can take a perfect reflection photograph. Even on a windy day like I had it photographs beautifully, even more so at sunset. Why is it called Lake Helen, who is Helen? Helen Tanner Brodt was the first woman to climb Lassen Peak back in 1864. 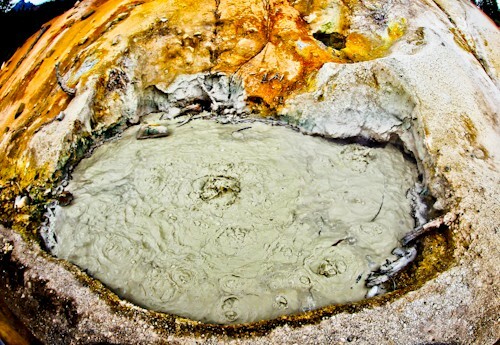 At Bumpass Hell you’ll find hot springs and boiling mud points. Essentially, examples of geology in action. There’s a walkway which passes safely through these natural phenomenons. I guarantee you’ll take lots of photos here as the colors, formations and steam are incredibly photogenic. It’s like a small scale version of what you see at Yellowstone Park. Did you know there’s a similar phenomenon in Seltun, Iceland? 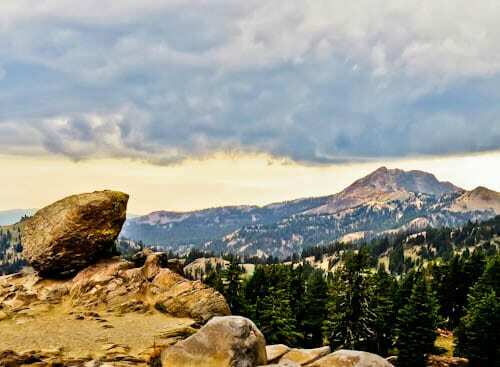 The Lassen National Forest features many hiking trails. There are hiking trails to the peaks, through the forest as well as to several lakes. I highly recommend you pick up a free park map when you enter. 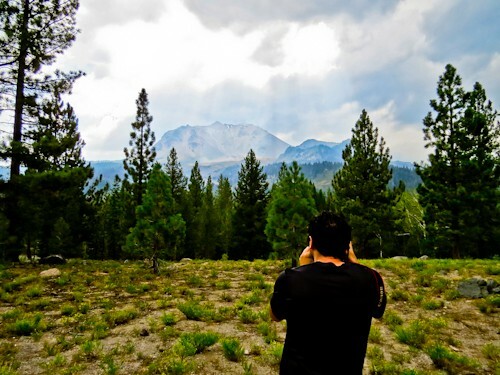 This will not only show the hiking trails but also list the things to do in Lassen Volcanic National Park. 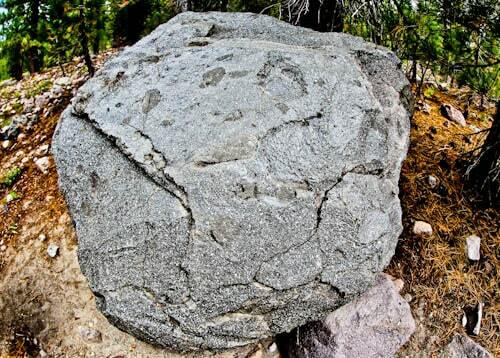 You’ll see huge rocks randomly placed throughout Lassen National Forest. These are in fact, hot rocks which used to be inside Lassen Peak. Lassen National Forest is quite a distance from the peak and it’s a reminder of the volcanos power. Even if you were kilometers away from the exploding volcano you weren’t safe from these hot rocks. Firstly, for photographers the top Instagram spots would be the lakes at sunset. However, for those who like to pose in pictures, I recommend one large rock in particular. Located on a cliff edge, it’s possible to stand under this rock and create the illusion that you’re holding it up! From Lassen Volcanic National Park I took CA-139 North to Klamath Falls. In Klamath falls there are lots of good value accommodation options as well as restaurants. This is a good place to take a rest ready for an early morning drive on US-97 North and OR-62 West to Crater Lake. We are yet to make a visit to US. There is so much to explore there from history to natural parks. Manzanita lake and Lake Helen look surreal. It must have been an amazing experience driving through these beautiful vistas. I love visiting national parks. I’m trying to add lesser known destinations to our travel bucket list this year. Hence, this is a good one to consider for that! US National Parks look fantastic. Everything seems so vast in these parks. There’s nothing geologically active in the UK so this would be such a fascinating place to explore. I imagine that it’s less touristy than Yellowstone too. I love those kind of places that are a little bit off the grid. Wow, this area looks gorgeous! 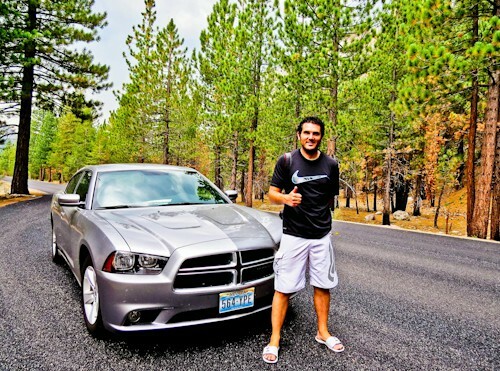 US national parks always fascinated me, I wish we had places like this here in the UK! Manzanita Lake looks beautiful, I’ll definitely add this to my list of places to visit if I’m ever in the US! Another beautiful and interesting place you have opened my eyes to a James, thanks, this is definitely going to top of my ‘to visit’ list. The picture with the reflection looks awesome! Is the mud bubbling all the time? Also, do they make face mask out of it? lol, I don’t think so. This part of the park is called Bumpass Hell because it was discovered by a man called Kendall Bumpass. He accidentally put his foot in a pit and had to have his leg amputated. Hence the name, Bumpass Hell. 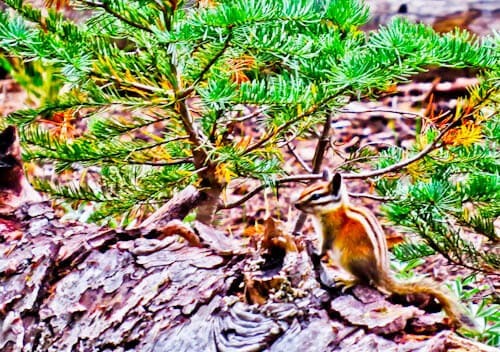 Sounds like a great alternative to Yellowstone – is it open all year around? We did a road trip through California but missed this place so nice to have enjoyed it vicariously through you. Great photos too! It’s always open but in winter it’s best to check the road conditions before going as it snows in California!